A for-profit partnership located in Bowie, Maryland, Larkin Chase Center maintains 120 certified beds. 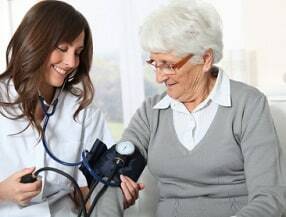 Its service offerings include short- and long-term care, occupational and physical therapy, bariatric and colostomy care, IV therapy, psychiatric services, pain management, palliative care, dementia care, and hospice. Larkin Chase (owned and operated by Genesis since December 2012) also was one of six Genesis facilities around Baltimore that got a 1-star rating for its health inspection. Only one other of these Genesis homes (Long Green Center) got a lower score for staffing than Larkin Chase's two stars. Larkin Chase's best Medicare score was three stars for quality measures - a mediocre rating, but good enough to beat nine of the other Genesis homes in the area. If you think we are biased because we are nursing home lawyers that sue these companies, you have a point. So we refer you to the most recent Medicare inspection of Larkin Chase, in March 2015 so you can get a flavor of what we are talking about with this nursing home. Larkin Chase Center has no competitors within four miles. This is fortunate because Larkin Chase is not competing well when it comes to quality care. As we got out further, the competition gets good. Manorcare Health Services - Largo (in Glenarden) and Villa Rosa Nursing & Rehabilitation, LLC (Mitchellville) both got overall 4-star Medicare ratings (which means above average). Collington Episcopal Life Care (Mitchellville) and Crofton Convalescent Center (Crofton) got top 5-star ratings. Larkin Chase cannot compete with any of these, so it's a good thing for this facility that they're not next-door. Still, it's sad when one of your best selling points is that you are located on "Health Center Drive" and that there is no other nursing home choice for miles. Larkin Chase, as we have noted, is not the worst Genesis home around Baltimore: three others got about equally bad Medicare scores in aggregate, and two actually did worse. The Medicare picture of Larkin Chase is of a facility that does some things fairly well and other things not so well. With a total of 114 residents at the last official count, Larkin Chase is a jump higher than the national average nursing home population (86.1) but only slightly above the Maryland state average (107.4). Larkin Chase got the bottom-level 1-star rating for its most recent Medicare health inspection. Surveyors counted a total of 16 deficiencies here, higher than the Maryland average of 11.5 deficiencies, and more than twice the national average of 7.2 deficiencies. This facility had deficiencies in seven of the eight measured categories, including four for quality of care and two for mistreatment of residents. Medicare's quality measures are statistical gauges of the type and amount of care residents receive. Larkin Chase's score for quality measures was three stars, or average. In fairness, we think the detailed stats suggest that it might have deserved four stars. Larkin Chase had better statistical scores than the Maryland and U.S. averages for seven out of eight categories measured for short-stay residents. Notably, the rate of pressure ulcers among these residents was only half as high as the state and national averages. Larkin Chase had an above-average rate of successful discharges, and its former short-stay residents were less likely to need rehospitalization, and far less likely to need to make a visit to an emergency room. Of 15 measured categories for long-stay residents, Larkin Chase scored better than the Maryland and U.S. averages in nine and was about even with those averages in three others. The long-stay residents here were less likely to acquire urinary tract infections; about half as likely to lose too much weight, or report having serious pain; and less than a fifth as likely to have depressive symptoms. These very good stats counterbalance the facility's negative stats: a relatively high rate of pressure ulcers; and, most seriously, the very high usage of physical restraints. Larkin Chase subjected 4.7 percent of its residents to such restraints - almost one in twenty. The Maryland and U.S. averages for using restraints are 0.6 percent and 0.7 percent, respectively. Long-stay residents at Larkin Chase were about eight times more likely to be subjected to physical restraints than the state average. There can be good reasons for using physical restraints, but there is no justification for using them in excess. Still, the whole set of quality measure stats shows that Larkin Chase was better than the Maryland and U.S. averages most of the time. This Genesis facility also got a federal fine relatively recently. Rarely do we see cases of nursing homes receiving these fines, so every such case stands out. In 2014 Larkin Chase received a federal fine of $5,818, the reason not specified by Medicare. That fine may not sound very high, but any fine at all is noteworthy. Think of how many drivers break the speed limit, and how many get ticketed. You have to be going pretty fast to get caught. Have you or someone you love suffered harm (or killed) in a Genesis nursing home? This particularly nursing home is a very good facility. But even good nursing homes can make fatal errors. If you think you may have a claim, call our nursing home lawyers at Miller & Zois today at 800-553-8082 or get a FREE no obligation case review. We deep dive into every Maryland nursing homes like we did for this facility. Call our Baltimore nursing home attorneys today at 1.800.553.8082 or get a FREE online case review. We are available 24 hours a day to help you get the compensation and justice you deserve.